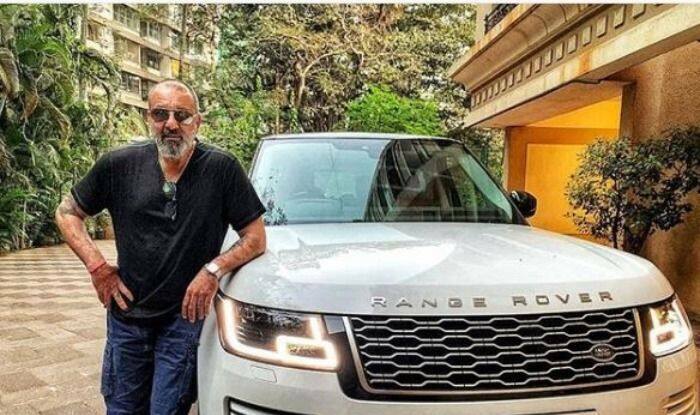 Sanjay Dutt shares a picture with his new Range Rover Vogue and welcomes it to the family. Sanjay Dutt, who happens to be a car fanatic had purchased a brand-new white coloured Land Rover Range Rover Vogue last month on March 27. Recently, the actor treated his fans with a picture of his new ride and welcomes it to the family. He purchased the cast for Rs 2.33 crore, which is one of the most expensive SUVs available in the Indian market. Sanjay Dutt took a picture of himself with the new ride to his Instagram and captioned it, “A new addition to the family! Thank you Nasir & #Landrover_ModiMotors ”. Sanjay Dutt will also be seen in the historical drama, Panipat which also stars Arjun Kapoor. In the film, Sanjay will be seen playing the role of an Afghan King. Other films in his kitty are Shamshera, Bhuj: The Pride of India, Prasthanam, Sadak 2 among others.